I'm all for discovering new brands and INM is the latest one to appear on my radar. Based in California, INM have a range of nail products including colour polishes, top coats and cuticle oils. My huge nail varnish collection now includes their Northern Lights OTD Top Coats in Gold and Silver. The Northern Lights range is a mixture of INM's Out The Door (OTD) Top Coat, which is a fast drying top coat and small holographic film particles in Gold and Silver. 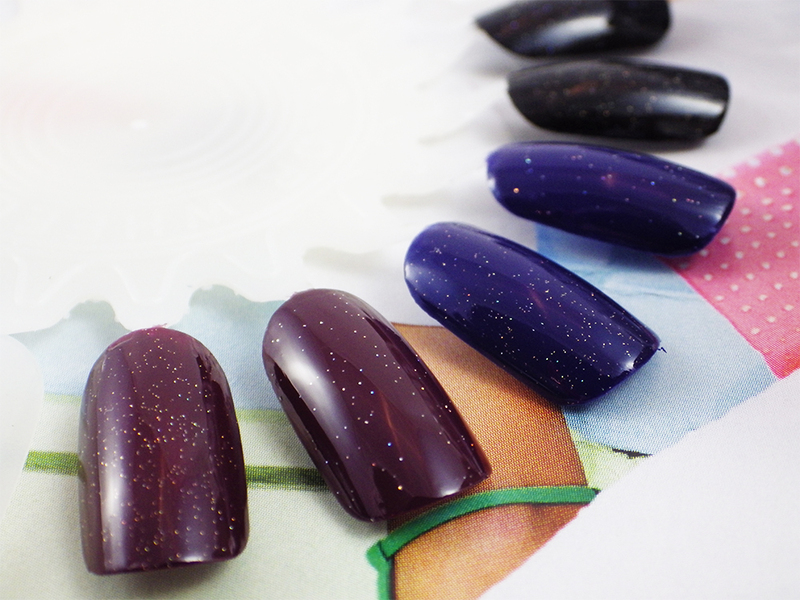 The particles collect at the bottom of the polish, so the bottle needs a good shake before application! Once on the nail, some of the Gold and Silver transforms into pretty multi-coloured particles and the polish itself dries super quick. In the photos I've applied two coats of both shades, which you can see is still quite subtle, however as the drying time is so fast it could be layered further. The finish of Northern Lights is super pretty, especially when it catches the light and the mixture of colours gives a more 3D effect. The Gold shade seems to be more concentrated than the Silver, but because the holographic particles are so small, it's quite hard to tell the difference between the two shades unless you look very closely. 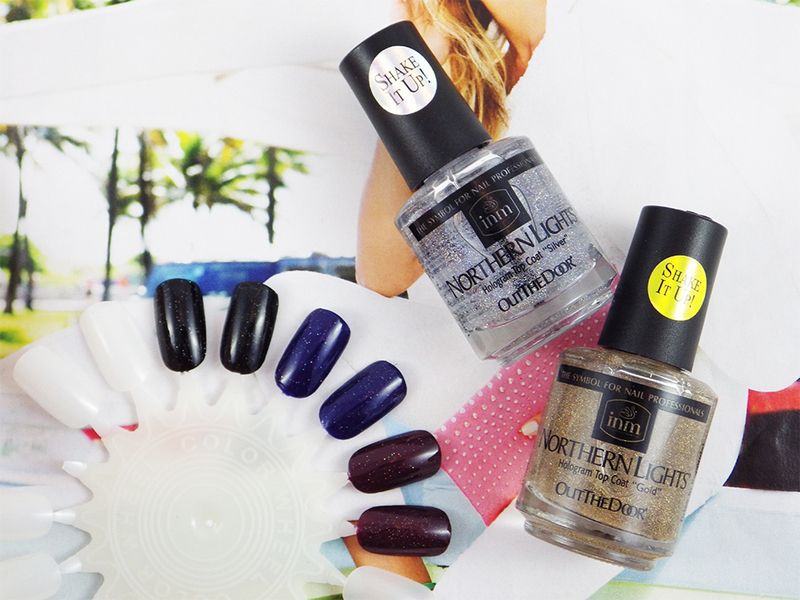 The INM Northern Lights OTD Top Coats in Gold and Silver cost £9.35 each and can be bought here. I personally don't think you need both in your collection, however they both look very pretty and I'm sure any magpie would love having these on their nails! They're a great alternative if you're not a fan of in-your-face glitter nails. I love the fact that they're a top coat too, so perfect if you're in a rush. I'm considering buying the plain Out The Door Top Coat as it works fabulously. 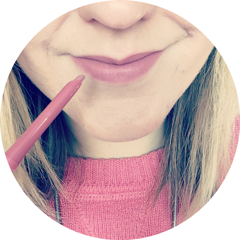 What do you think of the INM Northern Lights OTD Top Coats? Are you a fan of sparkly nails? Omgosh, I want to try this!! :) I love how sparkly it looks.